Saturate Audio 6th story has landed and is about to cause a lot of discussion and positive remarks amongst the trance community. 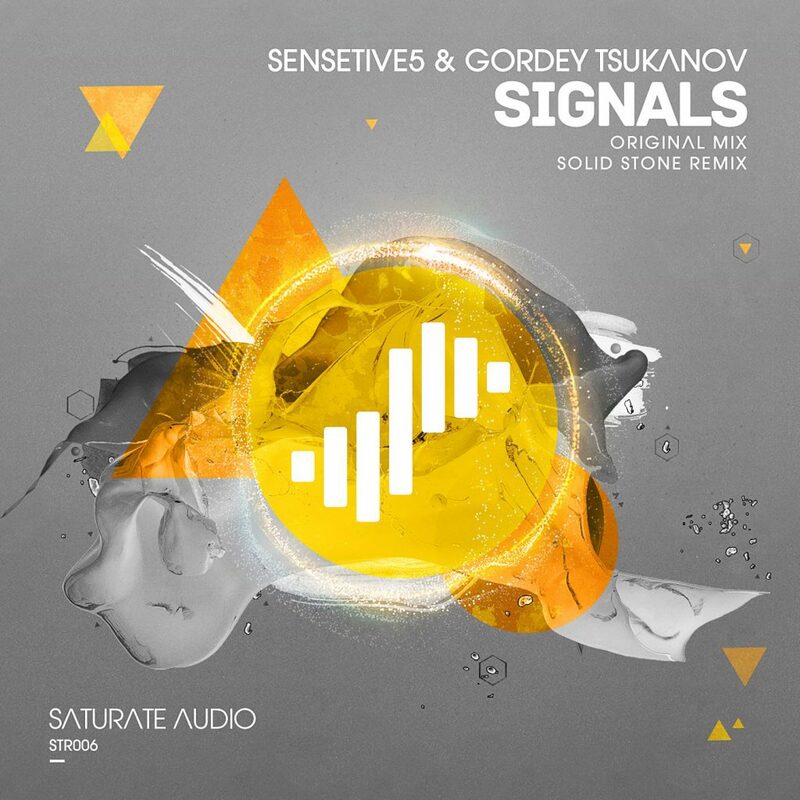 The talented Russian producers Sensetive5 & Gordey Tsukanov deliver their collaborative effort Signals that is supported by the massive deeper remix by the Canadian producer Solid Stone. The original version is a powerful progressive trancer with tech trance / Big Room trance tendencies. They impress us by composing a huge club banger with main characteristic element the breathtaking tension as they combine eloquently the dark haunting basslines with the dynamic techy cold mechanical beat and the relentless build up of the various exquisite sound layers. The breakdown reveals the XXL “rave style” main distorted synthy riff that is destined to be one of those themes that you will whistle at the end of the night while you drive back home. It has an immediate and fatal impact on the crowd for sure. It’s not the happy euphoric type of synthy riff, it’s rather the dark, sinister and bitter type of melody that works perfectly on big room trance context.